Happy 4th of July! This is a simple project to go along with the Summer holidays. They can either become a garland or become stand alone festive paintings. We got the idea from katydidandkid.com here. Paint your coffee filters. Make sure to lay down newspaper because the coffee filters bleed through. Let them dry. 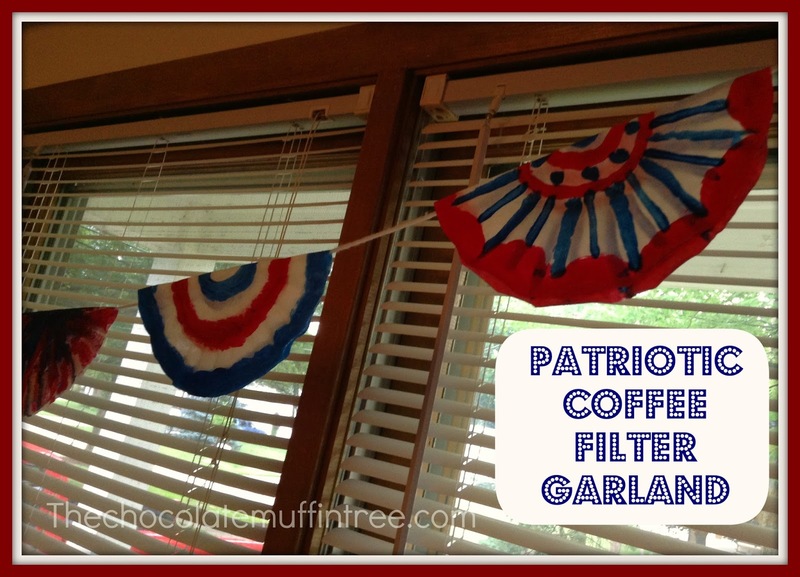 Then either keep them as is, maybe create patriotic flowers, or string them up into a bunting or garland! All we did was fold them in half and glue them on to string. Lovely project! Easy to make for children, but also a great decoration for the occasion. Hope you had a great celebration! Hope you did too. Thanks so much! It is usually very difficult to get classifieds of your home country far away. In that predicament, новини за an individual generally are starving of getting that yet, certainly not now. You could have a choice to obtain online classifieds.